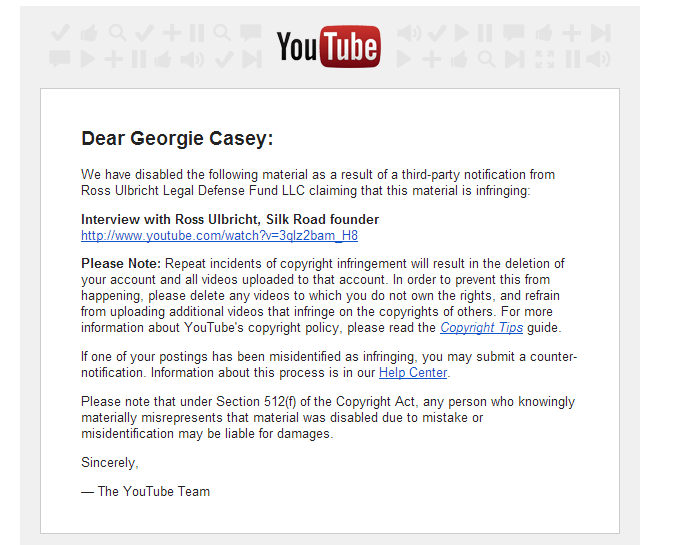 Just got a copyright strike on my Youtube account from the ‘Ross Ulbricht Legal Defense Fund LLC’ for an interview he did with a friend that I reuploaded to my account. 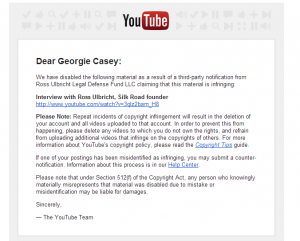 This entry was posted in General Stuff and tagged ross ulbricht by Georgie Casey. Bookmark the permalink.